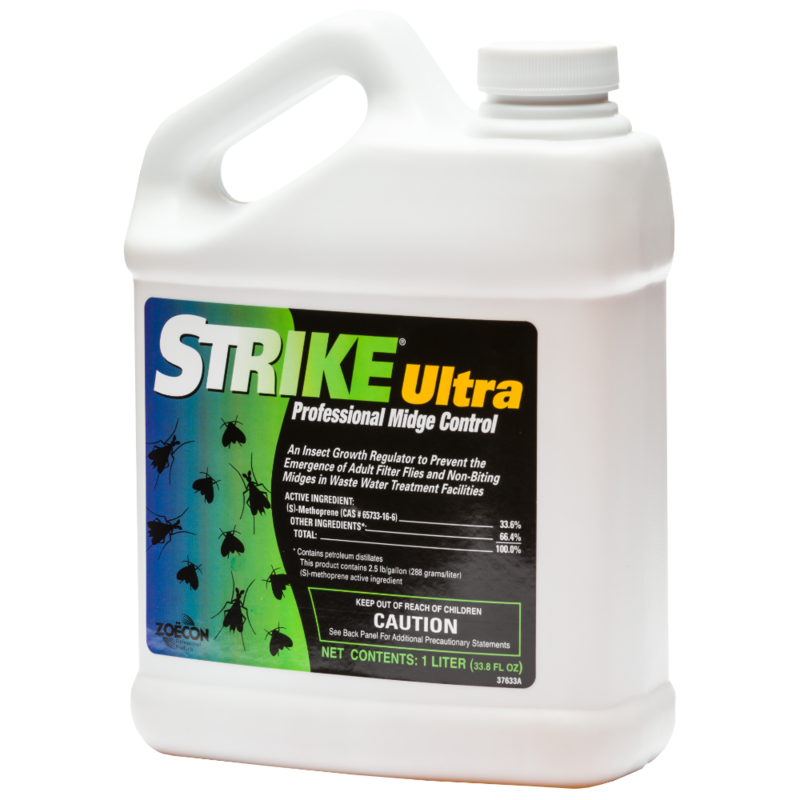 Strike® Ultra is a water-dilutable, emulsifiable concentrate that prevents the emergence of midge and filter flies. It's a concentrated formulation that gives you fast, effective control when applied with a metering system. Now you can easily control flies during low-flow time at your wastewater treatment facility with a cost-effective Strike® Ultra application. "We started using Strike last summer and the flies are gone."